If you have been following Juggling Real Food and Real Life for a while, you know how important cooking with my kids is to me. I work with the Jamie Oliver Food Revolution program to make sure that kids get the chance to learn basic cooking skills that will help them to make healthy food decisions. These are lessons that will serve them well for a lifetime. Home Ec classes have disappeared from most schools so now more than ever, it’s up to us Moms to give these cooking lessons. My daughter and I cook together all of the time now. It started out as intentional lessons and now it has grown into fun mother/daughter time. In fact, it is rare that I cook without her these days. She is always looking for ways that she can help. I was really excited to see that this time spent in the kitchen encouraged her to bring home a cook book from her school library. She showed the book to me and excitedly explained that she and her friend wanted to get together to make some of these recipes. She showed me recipes for cupcakes, pizza, and fruit smoothies. And then she really cracked me up. She said, “But don’t worry Mommy, I don’t really need to follow the recipe. I’ll just make my own recipe.” That’s my girl! She made a grocery list of everything she needed and gave it to her Daddy. Yes, that’s how it works in my house. My guy is really quite awesome. She thought it all through and only needed me to add cupcake wrappers to her list. The house was all in a buzz on cooking day. Teenage brother had football practice and then working on his Eagle Scout project. Daddy and little brother were going to The Ohio State Football game so the house would be all girls. Little Red was really excited to have an all-girls day. My daughter’s friend arrived and they quickly put their aprons on and got to work. Cupcakes first…………”because they would need to cool before frosting”, she says. 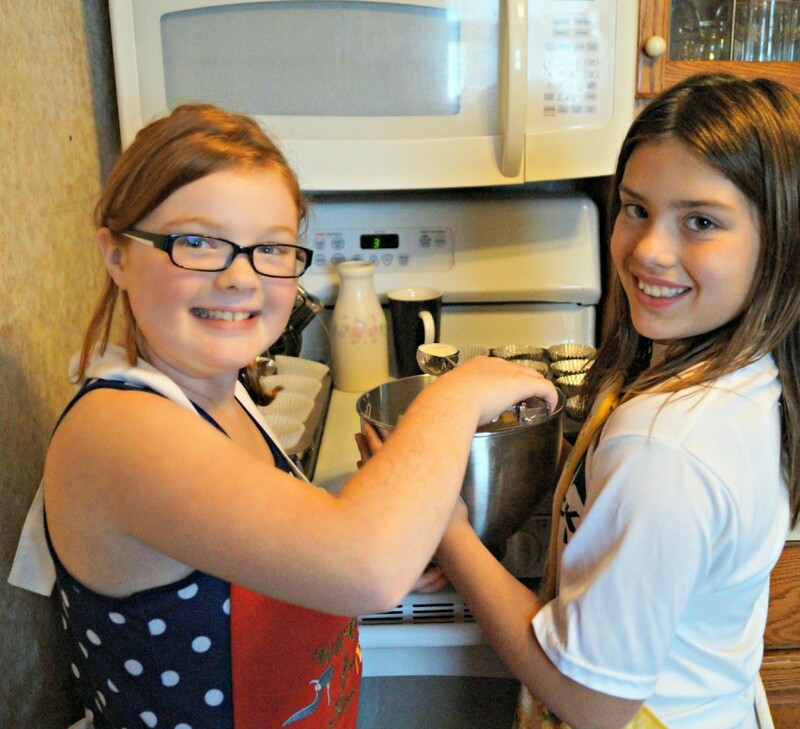 It was fun showing them how to use the stand mixer, but they did all of the measuring and mixing on their own. I was impressed to see liquid in liquid measuring cups and dry ingredients in the dry measuring cups. When the cupcakes came out of the oven, the temperature changed to get ready for the pizza which would come next. 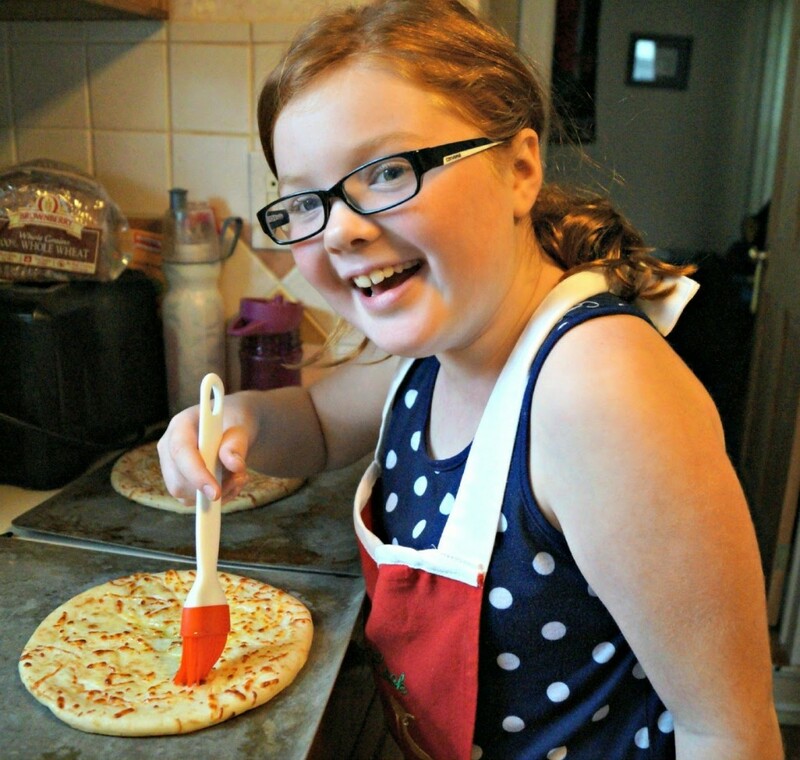 The girls used ready-made pizza crusts to make their pizzas. They used organic pizza sauce which came from a jar to keep things nice and easy. 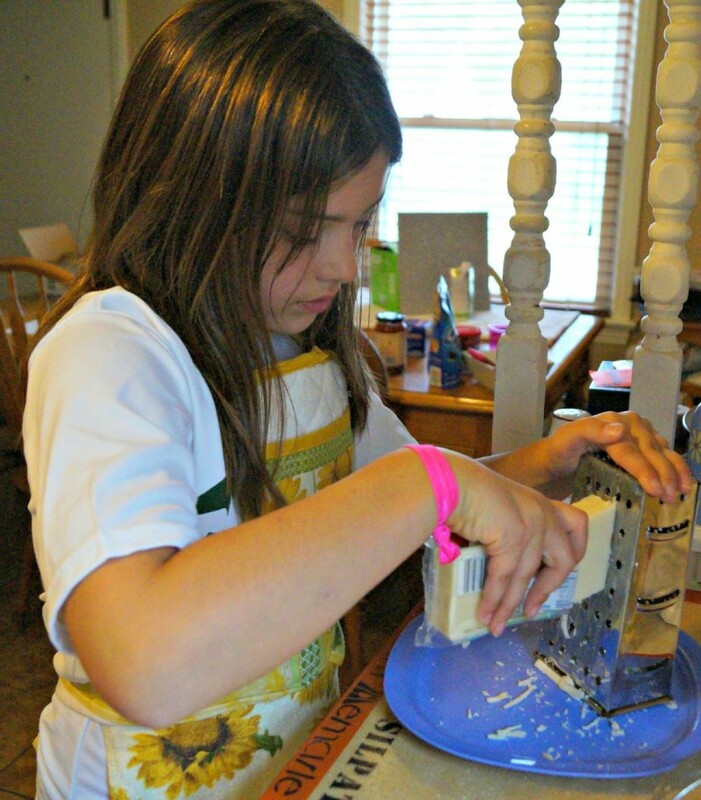 However, we always shred cheese in our house so my daughter showed her friend how we shred cheese. The girls worked together and in no time they were ready to assemble their pizzas. The girls made a couple of different frozen fruit smoothies. We call the one peanut butter and jelly because it has fruit and peanut butter. The other is a coconut smoothie and uses coconut water. Both are delicious. 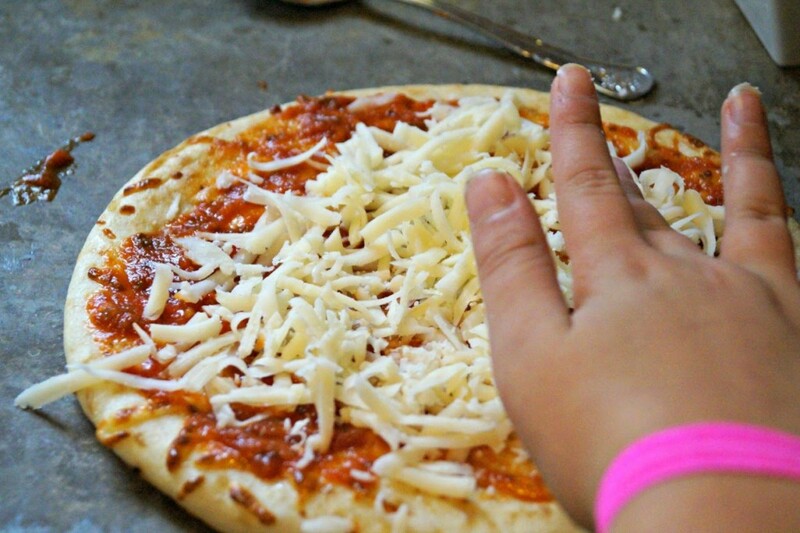 The girls each picked a different favorite to eat with their pizza. The best part of the play date had to be eating their creations. Everything was delicious and the entire day was full of giggles. Cooking with my daughter and her friend was the perfect way to spend a cloudy cold day at home. We don’t have too many days without something to do, so this was a really fun day for us. Messy faces and smiles………….that’s what makes life so sweet! 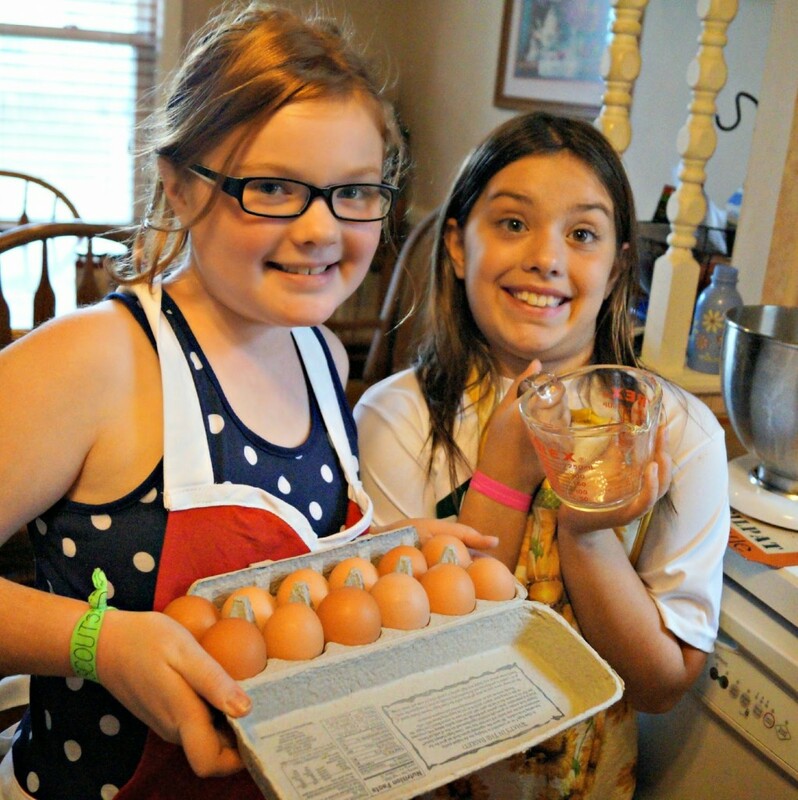 Do you enjoy cooking with your kids? What are your favorite recipes to make with them? 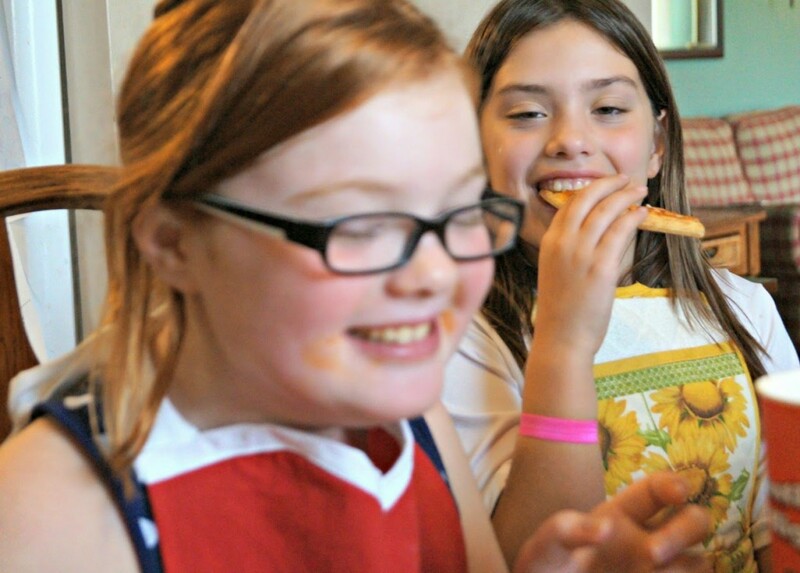 Have you ever had a cooking play date? Did you take home ec classes when you were in school? Where did you learn to cook? I promise to keep bringing you the best and most accurate information on nutrition I can find……….and hopefully with a little bit of humor along the way as well. You can find lots of great information on this blog (check out the tabs above and the archives). Make sure to subscribe by email so you don’t miss anything. You can also find lots of great tips, tricks, advice, and fun on my Facebook page and my other social media. Please join us! I remember cooking with my friends when I was younger. The girls look like they are totally enjoying their cooking play date. They had a blast Erlene! They got to eat and couldn't stop giggling. So fun! What a great idea for a play date! I have to remove electronic devices to get the kids to interact sometimes, even on a play date or sleepover. Next time I think I will get them into the kitchen instead. It really was a great way to get them cooking and talking. I can brag about it because it wasn't my idea at all. I think we are going to keep this up though and be more intentional about it. 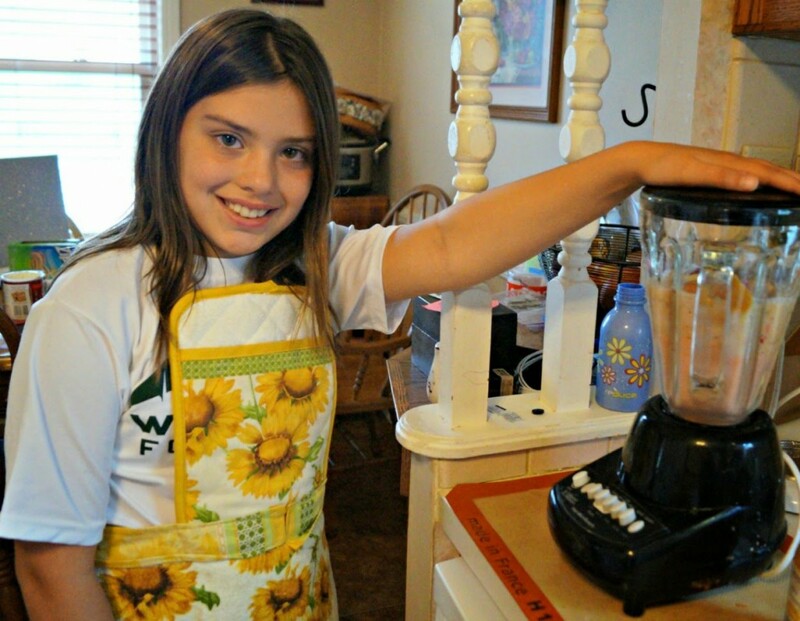 My daughter loved showig off and practicing her new cooking skills. I'm thrilled that she has taken such an interest in spending time in the kitchen. She is learning so much about food. Helpful post, Cooking with children may look cute and adorable, but in reality, it can sometimes end up being stressful for both you and your child.